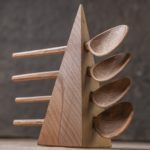 In 2013, Éamonn O’Sullivan began teaching himself to carve spoons, using YouTube videos and books. 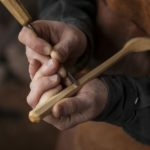 He bacame totally engrossed in the traditional methods of working wood, from ancient medieval techniques to renaissance cabinetry, buying antique tools from around the world. 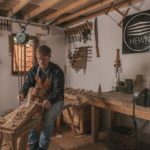 Éamonn runs Hewn, where he makes hand carved wooden homeware that is elegantly simple and full of character. Spoons are his passion. 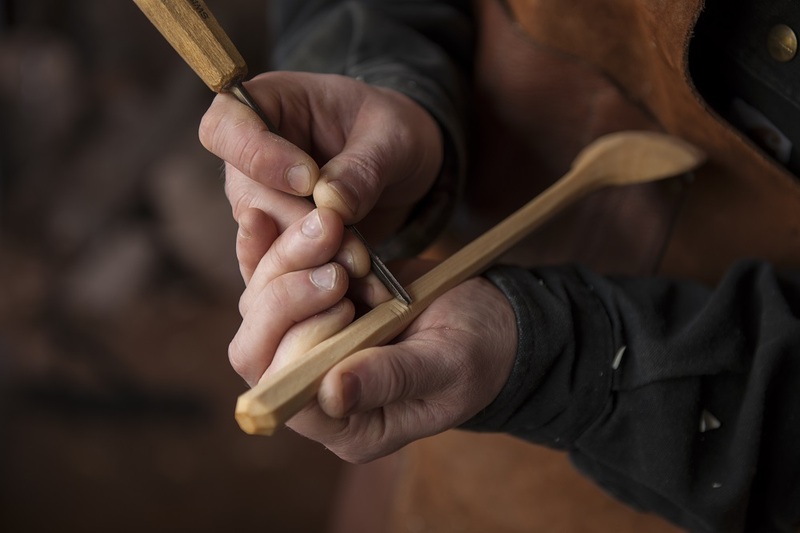 To produce each item, Éamonn uses an axe, a straight knife, a crook knife and nothing else. The extraordinarily smooth yet faceted surface is achieved by skill and the sharpness of the knife only. 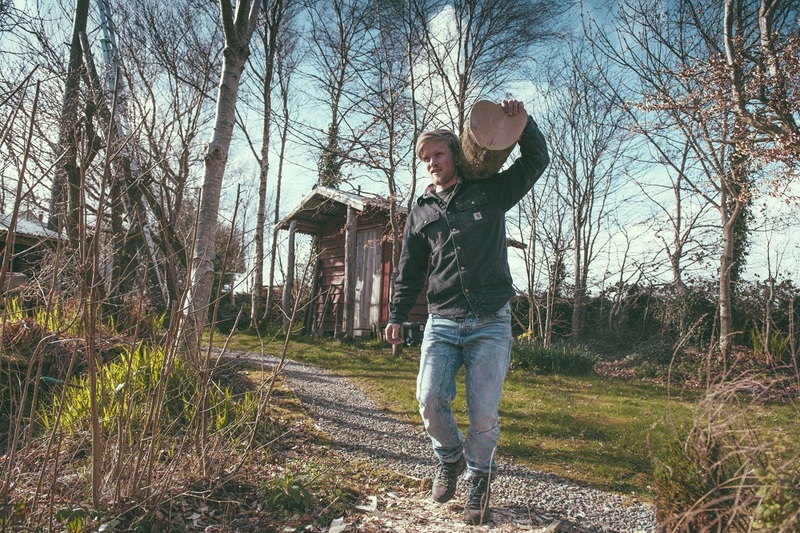 Each item is made of Irish-grown hardwoods, all unseasoned and collected locally by Éamonn himself. The utensils are treated with food grade linseed oil and beeswax and can be safely washed in hot soapy water. 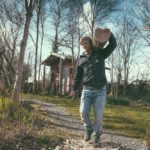 Éamonn will be joining a creative momentum project closing event on 12 April in Galway. 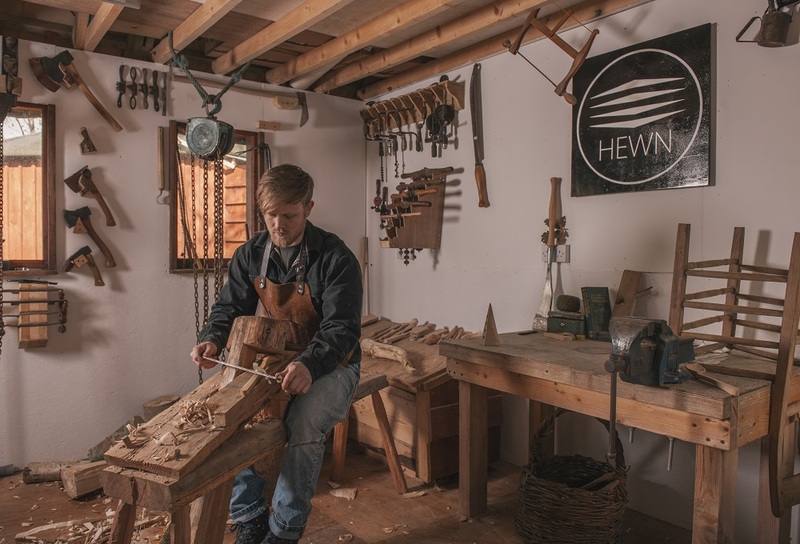 He will partake in ‘Creativity & peripherality in the West of Ireland – how does the picture look?’ – a panel discussion featuring creative entrepreneurs and support agencies from across the West of Ireland. The panel discussion will touch upon themes such as the challenges experienced by those working in the creative sector in a peripheral area, the role of public agencies and the importance & opportunities arising from networking. The event will also be an opportunity to discover some of the resources developed by a creative momentum project. 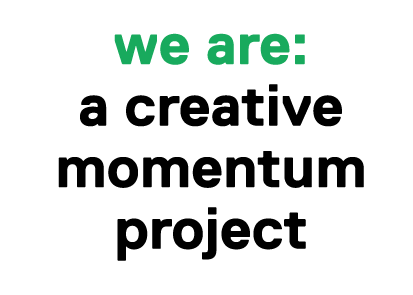 a creative momentum project closing event will take place over lunchtime (12.00-14.00) with food served. The event is free but registration is mandatory. To book your place and view the full programme, click here.